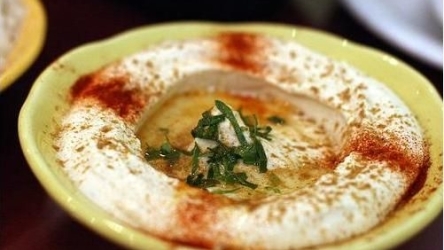 Hummus bi Tahini is an Iranian food recipe similar to hummus served all over the middle east. Reserve the liquid from the canned chickpeas. Combine chickpeas, tahini, crushed garlic, lemon juice, salt, and cumin in a blender or food processor. Add 2 to 3 tbsp of reserved chickpea liquid and puree until mixture is a smooth paste. Add more chickpea liquid or water if necessary to get a moist, spreadable dip. 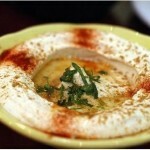 Place hummus in a wide, shallow serving dish. Garnish with parsley and sprinkle with paprika. Drizzle olive oil over and serve with pita bread.